Camille Cheng (moderator) is a Hong Kong National Representative Athlete in Swimming. She went to the 2016 Rio de Janeiro Olympics. 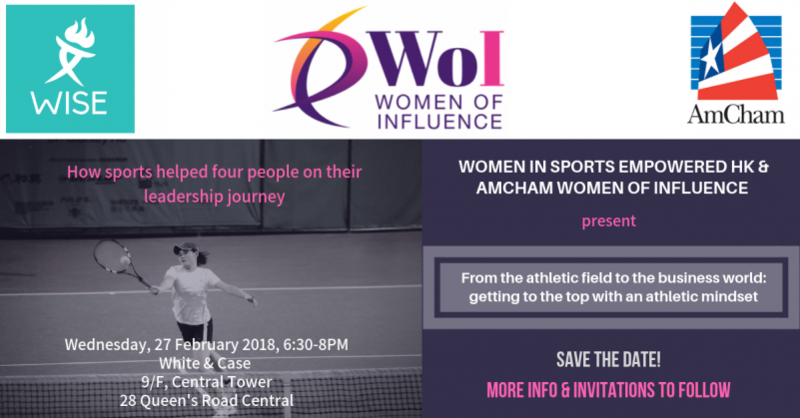 Kim Boreham (panelist) is a partner at Tanner de Witt and also Director of Women’s Rugby at the Hong Kong Rugby Union. Tobey Hill (panelist) is Group Head of Tax at CLSA and a cross-fitter mom who has been profiled in the SCMP. Greg Brutus (panelist) is the Regional Director of PR for AT&T and an avid sportsman, competing in all sports from tennis to golf to ultra-marathons and ultimate frisbee.